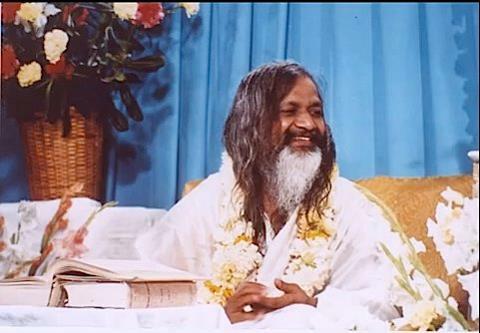 Transcendental Meditation (TM) has its origins in the ancient Vedic civilisation of India and was revived in the 1950’s by Vedic scholar, Maharishi Mahesh Yogi (pictured on left). It has become popular worldwide because it works … for example, a meta-analysis (study of all known research) has found that TM is more than twice as effective as any other method in alleviating trait anxiety, a measure of chronic stress. Journal of Clinical Psychology 45 (1989): 957-974. Clearer Thinking … published research shows that TM brings increased intelligence, improved memory, improved concentration and learning ability. More Energy … vital energy flows more freely through a nervous system that is less stressed. You become sharper and brighter … able to achieve more each day. Better Health … release of stress also allows the body to function normally. Research shows improvements in all areas of health including normalisation of high blood pressure, relief from insomnia and reduction in high cholesterol. NB. Visit: www.doctorsonTM.org to review all medical research details. Improved Relationships … TM develops inner harmony and you have more cordial relations with those around you including family, friends and co-workers as you naturally radiate the qualities of friendliness and sociability. Positive Choices … While TM does not come with any behavioural prescriptions, it does lead to you naturally making lifestyle decisions that are the most healthy and life-supporting for yourself. Scientific research shows a marked decrease in all negative behaviour including a reduction in the use of alcohol, cigarettes and drugs of all kinds. Greater Creativity … TM unfolds latent inner potential and this includes the ability to employ more innovative thinking and artistic expression. Many people find that brilliant ideas spring to mind shortly after a TM session. Whatever your role, the ultimate purpose of life is the expansion of happiness. TM develops a deep level of wellbeing which allows you to enjoy the rest of your life. As time goes by you find more and more that life is bliss! (Dr Lovell-Smith examines TM and its alleviation of hypertension in his book, Perfect Blood Pressure Naturally. Visit: www.perfectbloodpressure.com ). In recent years, modern science has gained a deep understanding of the profound organizing principles through which nature governs the universe. These principles uphold order in all physical and biological systems, and support the life and evolution of innumerable species. According to the latest scientific research, these same natural laws and profound organizing principles can be directly applied to human society using ‘Technologies of Consciousness’ to alleviate social problems. 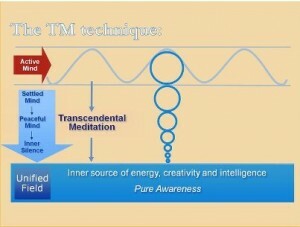 There is a social dimension to the practice of TM which operates at two levels. One is the at the affective level: metaphorically speaking, it allows the heart to expand. The practice causes us to be more open, more loving, more compassionate because we are gradually becoming more whole. The other positive social effect is at the scientific level, on the field of consciousness through daily transcendence. (See Unified Field chart above). It has been observed that when a certain number of people in a city regularly practice TM they influence the field of (collective) consciousness in that area in such a way that there is a (collective) decrease of stress. Scientific studies made by independent researchers over the last couple of decades in cities throughout the world have discovered that when as few as 1% of the population has learned Transcendental Meditation, the decrease in community stress levels is seen in such phenomena as the drop in the number of traffic accidents, a lowering of the crime rate, reduced hospital admissions etc. along with many other indicators of increasing positivity such as an improving local economy. With this ‘Technology of the Unified Field’ progress is clearly being made toward a more ideal society and peaceful world. For this reason the international administrative body of the TM organisation calls itself the Global Country of World Peace. 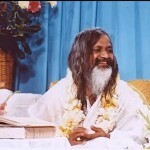 Maharishi Mahesh Yogi often spoke of the problem of international tensions as stemming from the individual level. 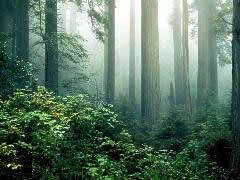 He said that for there to be a peaceful world there must be peaceful individuals … just as a green forest is composed of individual green trees. “TM the best thing I have ever done to help bring more creativity, positive energy and peace to my life. When I’m tired, stressed, anxious or depressed, I meditate, and it clears my mind, and makes me feel relaxed and happier. I have shared the meditation experience with my friends, and recommend it to everyone I know. - Katy Perry.